MainAll NewsInside IsraelWill Netanyahu benefit from Mandelblit publishing decision? Will Netanyahu benefit from Mandelblit publishing decision? Prof. Aviad Hacohen notes that sometimes suspects have interest in AG publishing decisions regarding them even before elections. 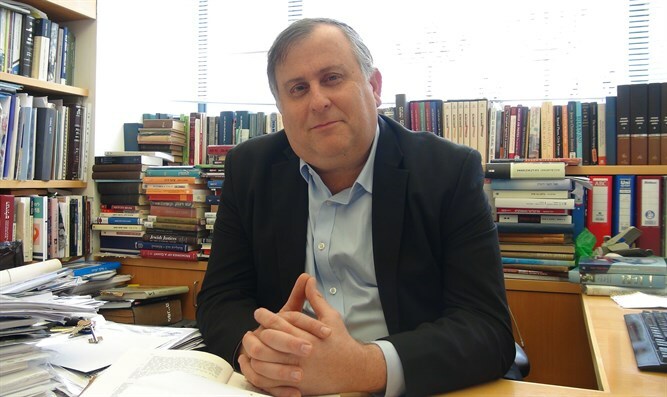 Academic Center for Academic Studies and Law President Prof. Aviad Hacohen related in an interview to Arutz Sheva to the Prime Minister's investigations and implicitly criticizes the Attorney General's intention to publish his conclusions on the matter shortly before the elections. "It's not problematic in terms of the law, but it looks like the law enforcement agencies, whether it's the State Prosecutor or the Attorney General, are taking part in the political game to influence the election campaign," says Prof. Hacohen. However, Prof. Hacohen notes that sometimes suspects have an interest in the Attorney General's publishing decisions regarding them even before the elections. "Such a thing can add to their seats. Aryeh Deri and Shas received the largest number of seats in their history, 17 seats, after he was accused," says Hacohen.